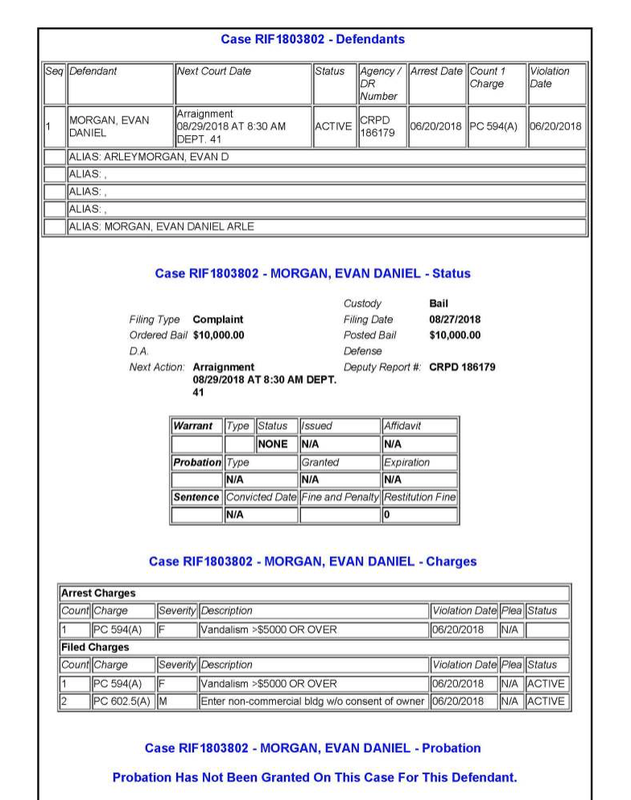 Evan D. Morgan, who resigned on Tuesday, August 28th, 2018 from the Moreno Valley Unified School Board had new charges brought against him. In two separate cases, he now faces 5 felony charges and 1 Misdemeanor charge. The new charges he was arraigned on August 29th, include possession of an assault weapon. This is a continuing story and will be updated when more information becomes available.